Today is for all my fellow makeup lovers out there! 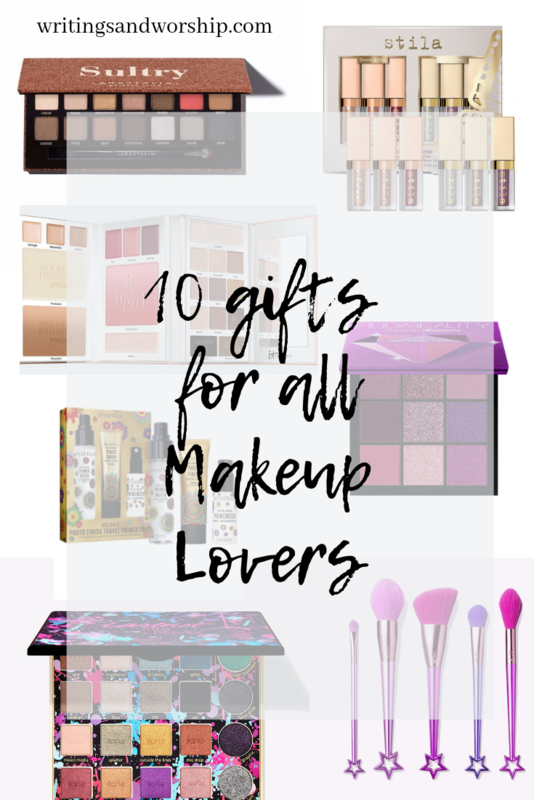 I’ve shared some other gift guides that are exclusive to Sephora or just for skincare…but these are just regular ole’ makeup items I think any makeup lover in your life would enjoy getting! 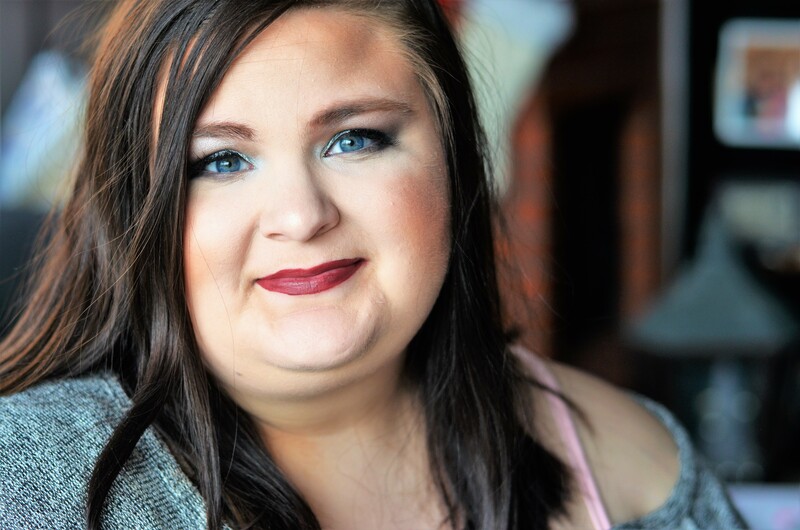 If you are shopping for a makeup lover and at a loss, this post is for you! These are all items that are affordable and are something I either have or would buy myself. I don’t really think you can go wrong with any of these items! I mean, who doesn’t love getting any kind of makeup for Christmas, am I right? It’s no secret that I am a huge Tarte fan. They have great products that are useful and high-quality. While they are considered “high-end” they have some of the best sales. Not only are their sales great but they do them pretty often too. Like these brushes, they are currently on sale. I don’t have this exact brush set but one similar from Tarte and I love them. Not only are they cute, but they are soft and well-made brushes. In this set, you get a mix of face brushes and an eye brush. So this would be a perfect set for anyone! 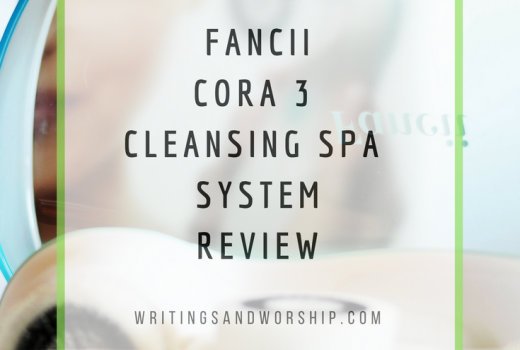 It’s a great set to start off with and if the person you’re buying for has a lot of brushes…these are great staples that you can never have too many of! Stila liquid eyeshadows are some of my favorite glitter/shimmer shadows out there. If I could have every single color- I would! 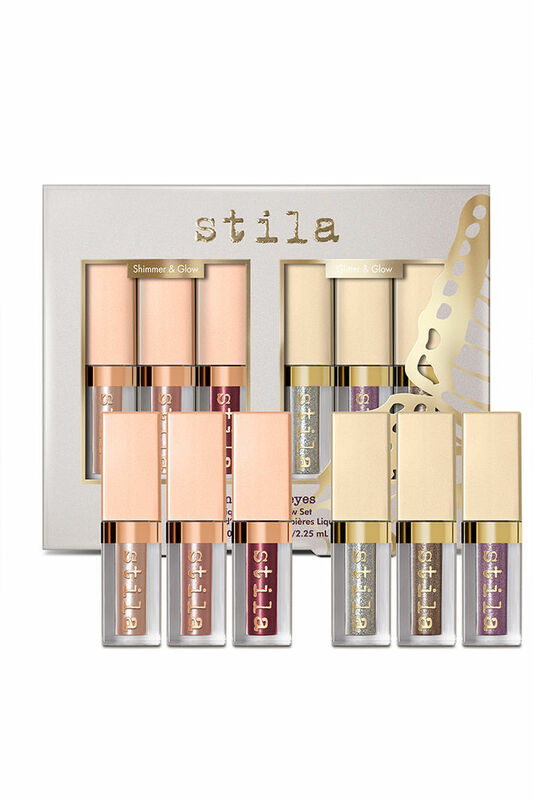 Stila does a great thing by selling smaller versions of their liquid shadows in sets. This allows you to be able to try out and have multiple colors for a smaller cost. I have some of their smaller versions and they are still worth the money. You don’t need much with these liquid shadows so you will get a lot of use out of these little ones. This set comes with 6 shades: 3 shimmers and 3 glitters. And they are all gorgeous! These sets of liquid shadows make a great present for any makeup lover. Real Techniques are some of my favorite affordable brushes available. They are great brushes for starting out with makeup- especially this set. It’s called “everyday essentials” because its full of useful brushes you would use every day! 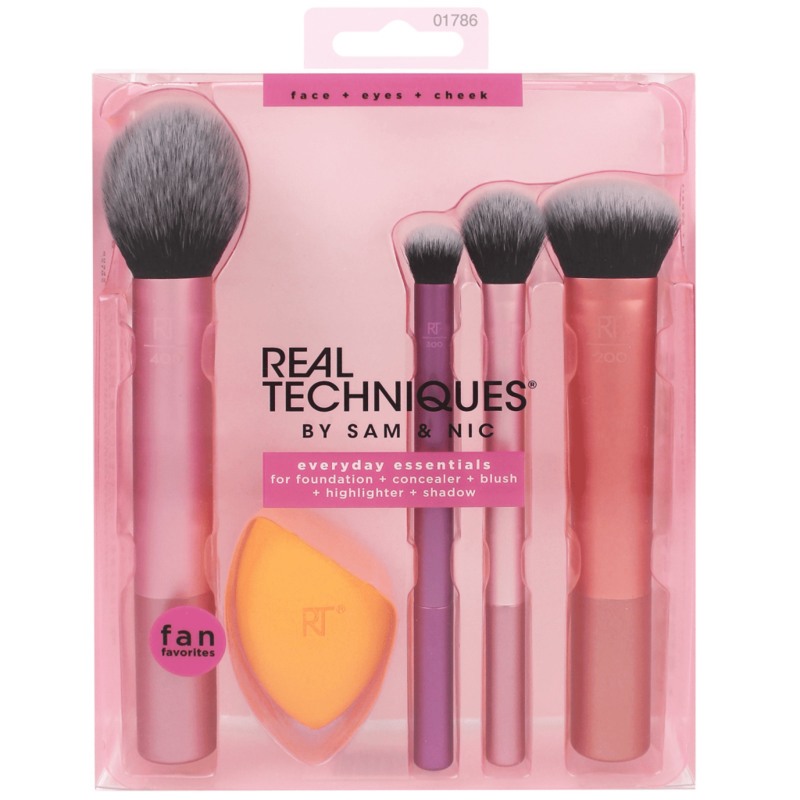 The brushes include a blush brush, crease brush, expert face brush, a setting brush, and a sponge. These are brushes you would need for a basic makeup look. If you’re shopping for a makeup expert, this is a great set for keeping as a travel set or just to have extras around. Also, I’m loving the colors of these brushes! They would look cute out no a vanity. How great are these colors? This is a new release from Tarte and includes a lot of fun colors such as bright purple, green, and silver. If you’re looking for an eyeshadow palette that isn’t a lot of duplicate shadows you already have…I’m pretty sure this is a good palette for you. There are 6 different finishes in this palette: matte, luster, metallic, shimmer, floating glitter, and duochrome. And no, I don’t know what floating glitter is either :). Keep in mind that only like 2-3 mattes are in this whole things…so it’s very shiny! Keep in mind, just because there are a few bright colors this palette is still full of really wearable shades. Hey mom, I’ll take this for Christmas! This is one of the newest palettes from Anastasia and while it appears to be fairly simple…I need it in my collection. I would say that this palette is extremely wearable; it’s full of neutrals, taupes, and just a couple pops of color like that peach. The silver and gold shimmer shades in this palette look incredible- I think those are the reasons I really want to buy it. 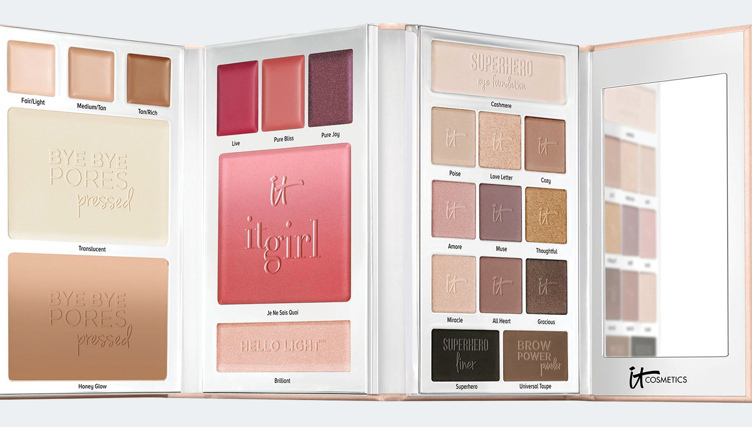 For newer makeup lovers, this would be great because it has a lot of easy looks available with the colors in it. I’d love to get this and do some quick two shadow looks for you. My favorite beauty vlogger, emilynoel83, did a whole review on this palette. I had never heard of these gift books before but apparently, there was one last year too. This year it comes with lots of good stuff! Concealer shades, setting powder, bronzer, blush, highlighter, lip shades, and eyeshadows are all included in this book. I think that this book is a perfect gift for any makeup lover. It’s pretty much all you would need for a full look! This book would be perfect to take on a quick trip when you don’t want to pack a ton of stuff. As I said, you can never go wrong with brushes in my book. While e.l.f. is pretty affordable, I believe that most of their brushes are really great quality. I think that they have really stepped up their game lately with the softness and quality of all their brushes. Must better from even a few years ago. 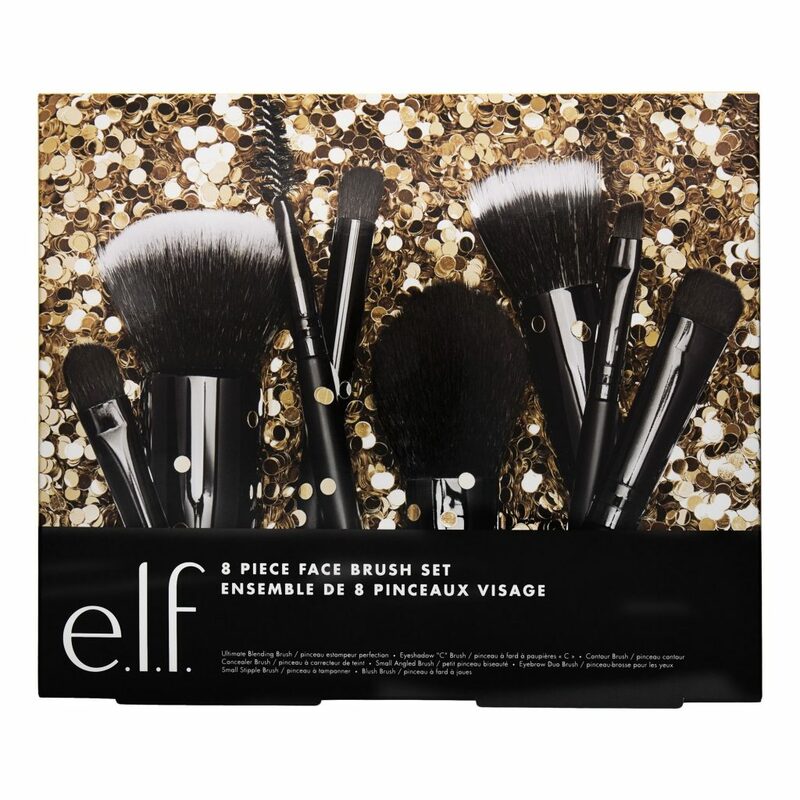 This set is only $20 and comes with 8 of their best face brushes. 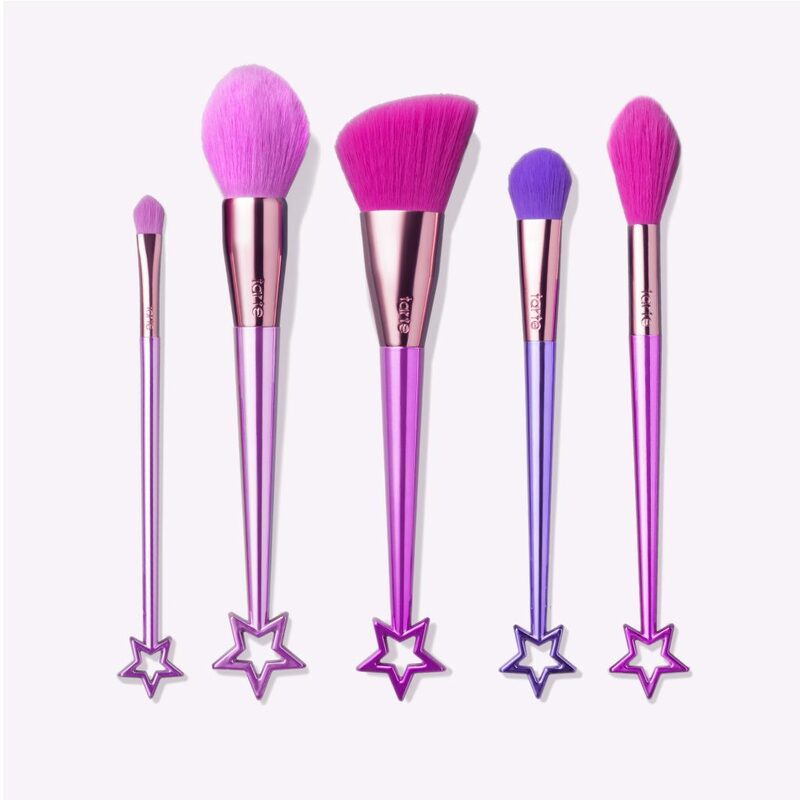 The brushes included: ultimate blending brush, eyeshadow “c” brush, a contour brush, a concealer brush, blush brush, small stipple brush, small angled brush, and an eyeshadow duo brush. Keep in mind that while it says it’s a face brush set…it includes some eye brushes as well. But overall, these are some great brushes and perfect for a gift. Brows are something I have been taking more time with lately. I’ve started using brow gels and such to make them look better. If you’re like me, you don’t own many brow products, so this set is a great option. Benefit has many different versions of brow sets but this one was the most useful for me. The naturally set comes with a brow pencil and a brow setter. This set comes in 8 shades as well, so it should be perfect for anyone’s hair color. I also wanted to note that both of these are full-size as well! 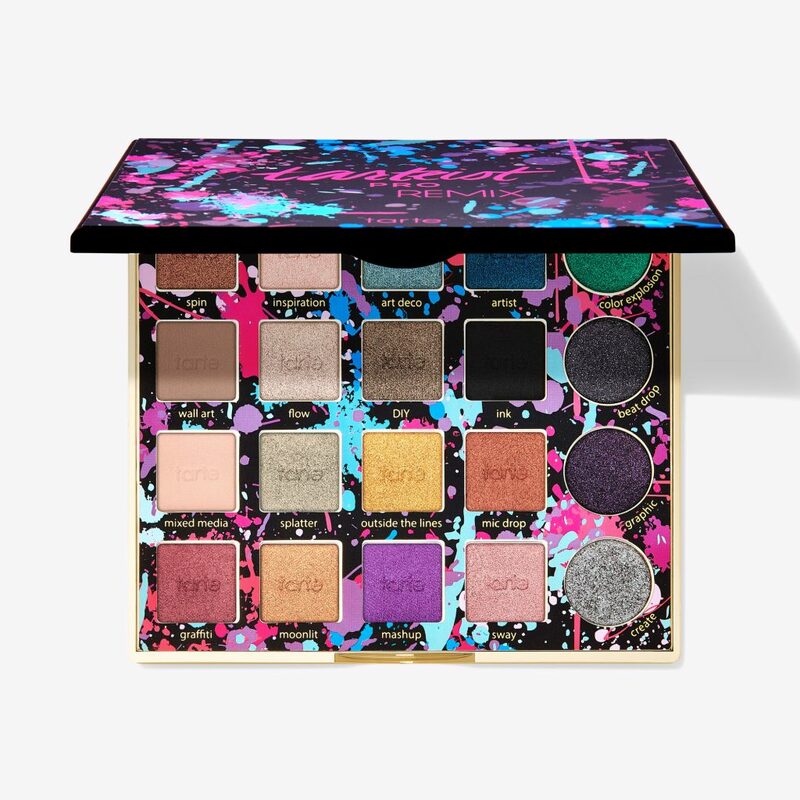 I’ll admit, this palette was very high on my wishlist this Christmas. Purple shadow is some of my favorite and a whole palette full of shimmery, matte, and metallic purple shades are right up my alley. 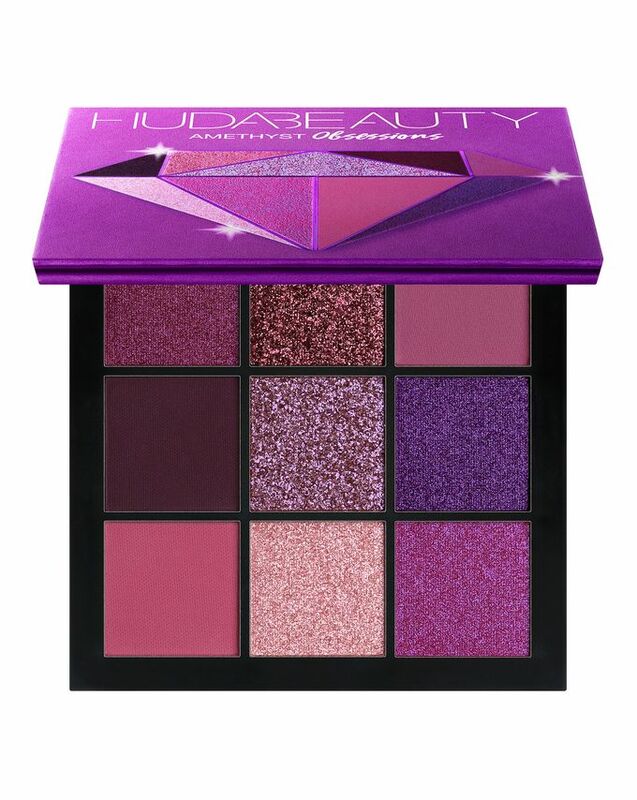 I’ve shared about these mini obsessions palettes from Huda before and I will always suggest these as a gift idea. While their small, they are full of shadow- no space is wasted! And if this color isn’t what you’re looking for they have many different colors of these palettes. I love these palettes because they’re a more affordable way to get a little high-end in your makeup collection. So if you love high-end or know someone who doesn’t, consider this as a gift option. If you love makeup, chances are you know how important primer and setting spray can be! 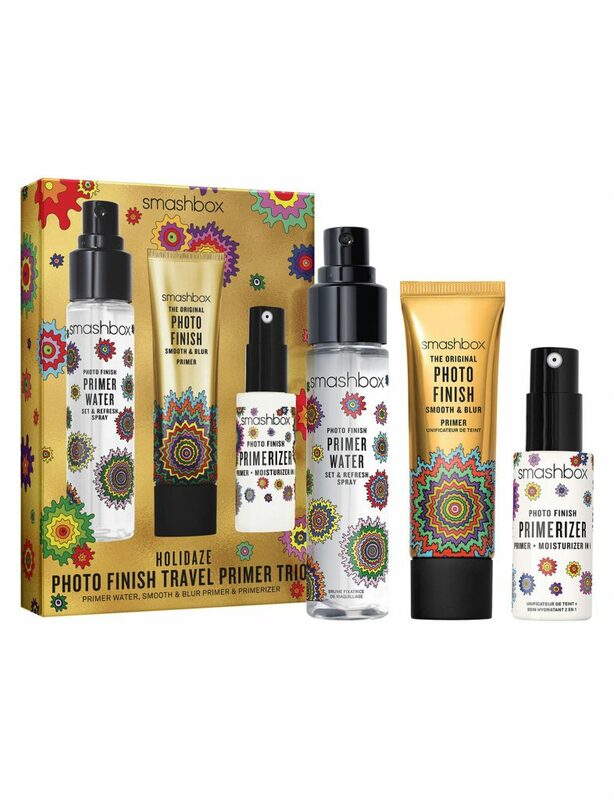 I’ve never gotten to try Smashbox primers in a whole version, but the reviews are always so good that it must be amazing! I loved this holiday packaging of this set. In this set, you get The Original Photo Finish Smooth + Blur Primer, Photo Finish Primerizer, and Photo Finish Primer Water all in travel size. These are some of the most popular primers in the makeup community, so there’s no going wrong with it. And they are travel size so it’s a good way to figure out if you like the products enough to buy the full size.